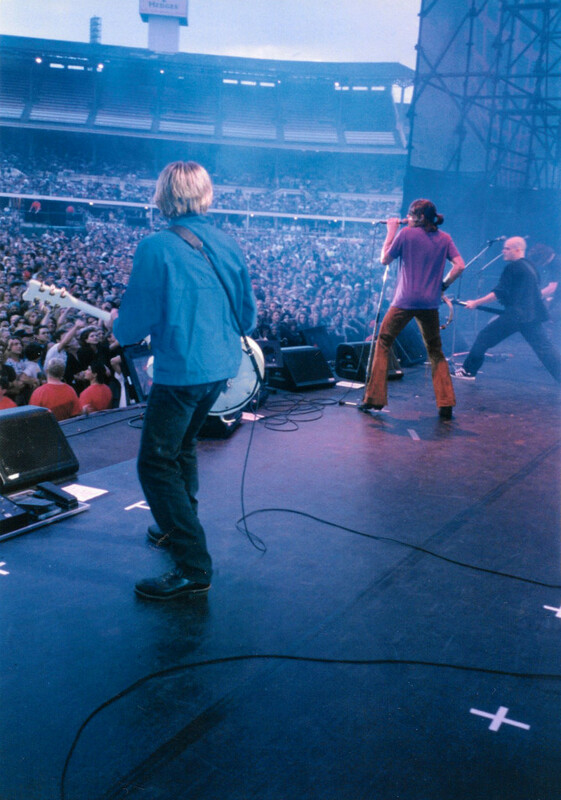 "This shot from side stage was taken at the Big Day Out festival in Sydney, Australia on January 26th 1995. It was a BIG crowd... in fact it was huge, fun tour with five Big Day Out Festival shows and a few on our own. Really good times and it was one of my fave tours of all time!"